Figure 5. Determining Resistance in a Basic Circuit. Home > Ordnance Documents and other related manuals > > Figure 5. Determining Resistance in a Basic Circuit. Figure 6. Determining Voltage in A basic Circuit. DETERMINING RESISTANCE IN A BASIC CIRCUIT. 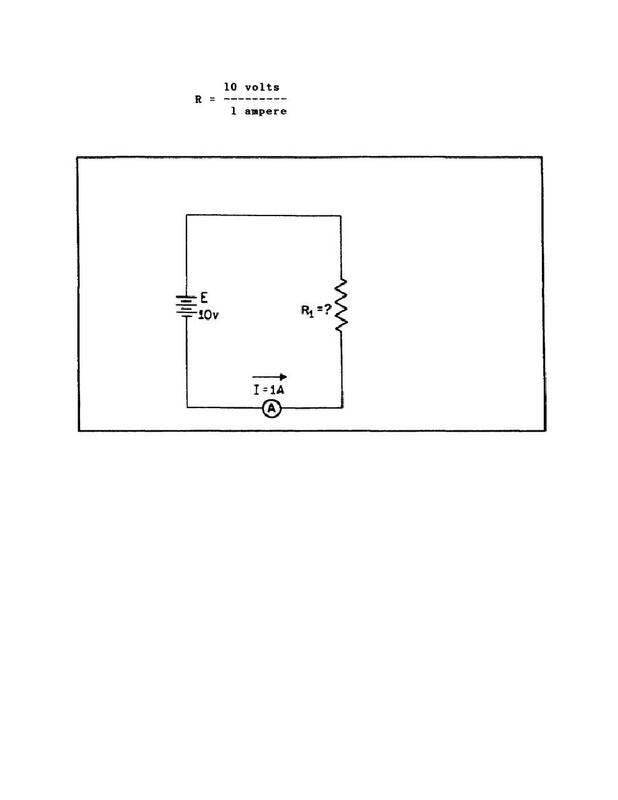 Therefore, resistance equals 10 Ohms for the circuit shown in figure 5.
page, we will solve for the unknown E.
Therefore, voltage equals 22.5 volts for the circuit shown in figure 6.